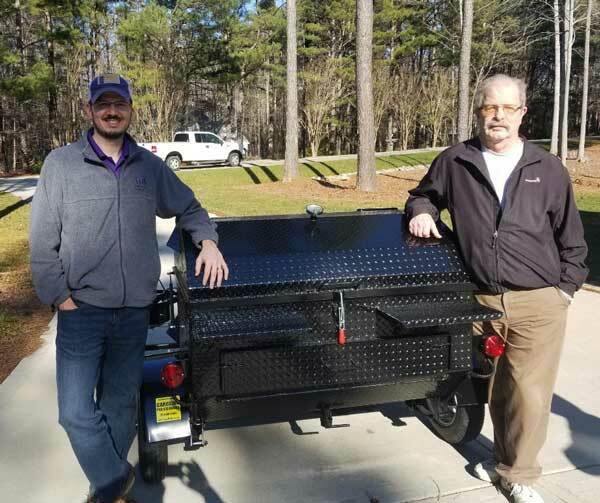 Rob M. of Wake Forest, North Carolina with his new Carolina Pig Cookers grill. 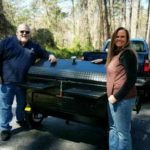 We delivered this new cooker over to Wake Forest. 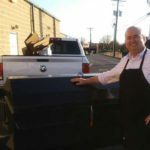 It was a pleasure to meet you Rob and we do hope you enjoy that cooker for many years to come. 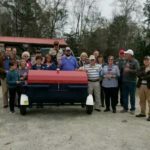 As we come out of some bitter cold temperatures here in North Carolina, we may see temps up near 70F degrees in a few days, great weather for a cookout. Hope you get to try it soon.